Nothing wrong with kids clothes! I purchased a pair of aged 14 girls black trousers for work, cost me £4 (y) (y) I used to sell trainers for a living, not sure if you would be into any of these styles but if you go for a 5.5 in converse Chucks, air force 1, Timberlands then they should fit a size size. Alternatively if you find a pair you love in a 5.5 and they are a little bit too tight, take the insole out and you will gain an extra half size! 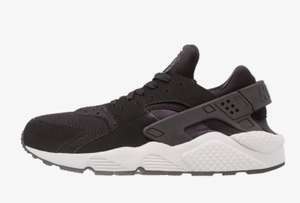 Nike huarache on offer for £59.99 on foot lockers sale, there are other great shoes too! I suppose that's something that can vary person to person but i generally find that Nike shoes fit as I'd expect, it's usually Adidas i need to go a size bigger. Didn’t shoes always used to be £50? Especially from mass produced brands. Great first post. Don't forget 6 or 4% Quidco too. Perfectly timed, my trainers were getting smelly. same got mine today really tight! Got mine today, ordered a half size bigger than normal and they fit just right. My son said they look sick, but as a middle aged man I probably look silly.... oh well, nice and comfy. Ahh, you managed to get the code to work in the end? Cant believe how cheap they were! Received mine today. Really nice shoe. Yep, looks like that code's stopped working. Worked for me earlier this morning and just tried now and not working. Won't let me get them for the price you're saying? Shame it's not on the all black ones. They're still £64! Great price for the others though ,heat added. 4% cashback when shopping with a Nationwide card so potentially 20% off sale prices via Quidco, Unidays and Nationwide combined. I'm sure if it was posted yesterday it would of been removed? No? Never miss a 'Nike Huarache' deal again! Anyone got a working code? Last week's 25% has expired. Got 2 pairs for under £35 with free delivery Thankyou!!! if you go though quico you get money back . Nike Huarache Ultra Trainers - £33.99 Delivered @ Size? very small ones only though-kids 1 is largest. Usually £100 and there are a lot of other nice pairs of trainers. End clothing are great for exclusives and their sales are pretty good. I think that's the END of this deal. 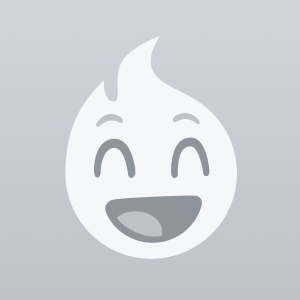 Check OP profile; joined today posted 1 deal ! thanks OP! i ordered 12 pairs, using student discount and also Quidco + got compensation from Nike for late delivery, chuffed! Many thanks, a nice little bargain for my daughter. One of the most comfortable shoes on the planet, the Nike Huarache line has taken its inspiration from both the functionality of Native American footwear and 21st century technology and delivers a great level of comfort and performance for anyone. This buyer's guide explains what kinds of Huarache are available for purchase, how to spot a fake pair and how to score the cheapest possible Huarache deals. Nike's Huarache trainers are one of Nike's most iconic creations. As most people know, Nike is a legendary footwear company based out of Beaverton, Oregon, who have become the world's leading manufacturer of sporting goods since its founding in the 1960s. The Huarache line was designed by Tinker Hatfield (also the designer behind the Nike Air trainers) and launched in 1991. Its name and design elements originate from huaraches, a type of sandals worn by Native Americans, Mexicans and some Californians. Shoes from the Huarache collection instantly gained a huge popularity among professional athletes and was embraced by superstars of the time like Michael Johnson. It soon became accepted more widely by anyone that saught supreme levels of comfort in sneakers. Since then, Nike has re-released the Huarache sneakers in various forms and we will further cover all the variety. The core, as well as its popularity, remained the same throughout the times and continued to be loved by elite sports professionals (such as NBA legend Kobe Bryant) and millions of people around the world. What Are Nike Huaraches Designed For? Nike Huaraches were designed to offer something totally new. Its creator Tinker Hatfield saw that conventional trainers were neither enough nor capable of being adapted to the shape of people's feet. So, he engineered a new kind of shoes that “hug” the wearer's foot (as Nike put it). This made Huaraches ideal for long jogging sessions or walking, especially with the use of fabrics like neoprene to improve heat transfer. This fabric marks another innovative approach of the Huaraches. Today's Huaraches not only kept these sporty features but also refined the uppers in order to make heat transport even more efficient. Sneakers have become more than just their functionality: they form your style as one part of the integral fashion. For this reason, nowadays, you can even get a custom-made pair of Huaraches. A sock-like inner part that shapes itself to the shape of your feet, providing a very high level of comfort. The use of breathable fabrics like neoprene or lycra for the upper, ensuring quicker heat transfer while keeping your feet safe from the rain and other risks. No visible Nike branding (i.e. no Swoosh). The Huarache trademark ankle strap, which resembles that of classic Mexican huarache sandals. Cushioned rubber soles that provide plenty of grip and bounce for runners, basketball players and skaters. Standard Nike Air Huaraches — The classic Huaraches serve both professional athletes and ordinary people for everyday use and are one of the most versatile trainers of all time. Its key feature is the ability to form its shape according to your foot, providing a custom fit for everyone. Foam midsoles provide an extra layer of cushion and the rubber outsole and heel not only last long but also offer extra grip with its waffle pattern shoe bottom. They come in standard colour schemes but you can also use the “design your own” tool to customise your order, which we'll explain further. The Nike Air Huarache Premium iD — The standard Huarache can be turned into a completely unique pair of performance trainers when ordered on Nike's website. Choose between two Japanese-inspired fabric patterns, nubuck or woven fabric for the upper and denim or mesh on the toe. You can also add a personal signature on the heel. Having your own personal touch on your shoes is a great idea but be aware that customising Huaraches costs. Check for discounts at HotUKDeals as you may find reductions on customised Huaraches. Nike Air Huarache Ultra — A step up from the standard Huaraches, Ultras feature a perforated foam midsole and upper enabling them to breathe, a major attraction point for runners and people living in warmer climates. They are also super-lightweight, adding to their athletic performance and generally making them incredibly comfortable to wear. They tend to be slightly more expensive than the standard ones. Popular options in the Huarache Ultra collection include Nike's white and black varieties that are easy to match with many casual outfits. However don't limit yourself and take a look at other colours on offer and you will be able to complete your own unique style. 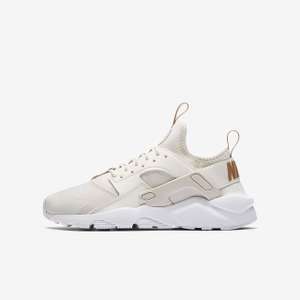 Nike Air Huarache Ultra Breathe — A popular subset of the Ultra range, this Huaraches pair features next generation mesh which reduces the temperature inside the shoe, allowing runners and other sports fans to perform better and longer. Nike Air Huarache Print — The standard Huarache also comes in different varieties that feature printed fabric designs, which make them an essential part of urban fashion ensembles. 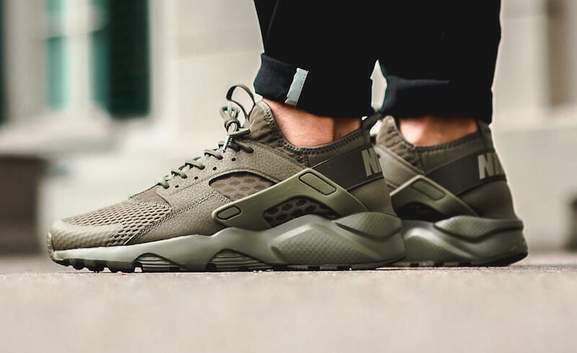 Nike Air Huarache Utility — These versatile trainers are more robust and rugged than your usual Huaraches with an extra grip outsole and a larger heel, as well as additional cushioning in the midsole. Nike Air Huarache Run Ultra — Even more breathable and lightweight than the standard Huaraches, these Run Ultra trainers are, as the name suggests, optimised for runners. 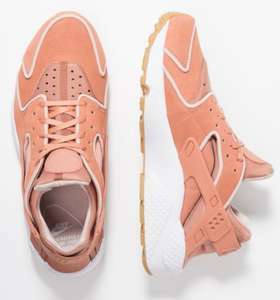 They feature a neoprene inner that cushions the foot and breathable mesh and the familiar Huarache heel design. Nike Air Huarache Junior — Created specifically for kids, these kid-friendly shoes feature colourful elements, the neoprene foot sleeve, the Huarache heel and everything else that adult varieties offer but specifically designed to fit kids from 3-10 years of age. How Do Nike Huaraches Fit? If you are planning on buying a pair of shiny new Nike Huaraches, you need to find a pair that fits you properly. like all the other shoe companies, Nike has its own idiosyncrasies when it comes to sizes, so it's worth taking a second look when choosing your shoe size online. The general consensus is that Nike Huaraches fit smaller compared to other trainers. So, if you usually take a size 8, it's probably a good idea to buy a size 9 instead. It's not just length that matters here, width does too. Huarache buyers often have to exchange their shoes due to its narrow fit but if you go up a half or full size bigger, you should be fine. Another good idea is to head to a nearby shoe store like JD Sports or Footlocker, where you can try on a pair of Nike Huaraches. Give them a try, give them a few steps and feel them. Don't be pressured to make a purchase on the spot. Just find a size that fits you, then head home and buy online for cheaper. Huaraches are a designer's classics, which also unfortunately means that millions of counterfeits exist. It's actually not uncommon to order a pair online only to find that you got a fake pair. Since it is not always easy to tell the shoes are a counterfeit, here are some guidelines that will help you make the right call. First, check the small print. There should be a patent number and date of manufacture on the tongue label inside your shoes. There should also be a style number which reads 6 digits, a dash and then 3 more digits. That's common to all Nikes and it's always there. If not, you've probably bought a fake pair. Aside from that, always inspect your Huaraches for imperfections in the stitching or details. Nike makes sure its premium trainers are almost always flawless and a new pair shouldn't have any clear flaws. Although there are plenty of fake Huaraches around, that definitely doesn't mean you should mistrust every deal on the market. Actually, the UK's major footwear and sporting goods retailers regularly offer reductions on Nike's most popular shoes and Nike company itself also runs seasonal sales to clear out older seasonal stocks. These seasonal sales are always a great time to find great value Huaraches. You'll find the latest deals at Nike's Outlet site so pay attention to the seasonal sales that tend to occur in autumn and spring. If Nike is not providing any discounts on the Huaraches you need, don't worry. There are other options. 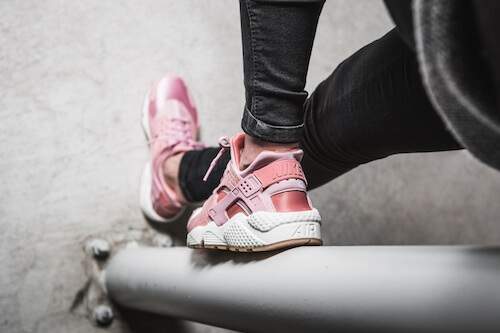 Head over to the Nike Huarache listings on HotUKDeals, where you'll find the latest offers from merchants like JD Sports, Footlocker, Sports Direct and Amazon. All kinds of offers are listed so just have a quick browse through and you will find what you need. There are also other options. If you really want to make big savings on Huarache shoes, waiting until Black Friday might be a good idea. Black Friday takes place in late November and is the number one retail event of the year, which means there will be plenty of discounted trainers. In any case, the Huarache HotUKDeals listings is where you can find all the Black Friday deals, regular deals and discounts for a pair of Nike Huaraches. Since 1991, Nike's Huaraches have become a designer's classic staple. With their stylish heel, breathable fabrics and cushioned soles, Huaraches are a go-to for serious sports fans and urban fashion lovers. On a budget? 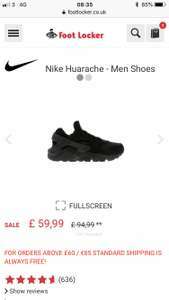 You'll find the cheapest Nike Huarache deals with HotUKDeals.